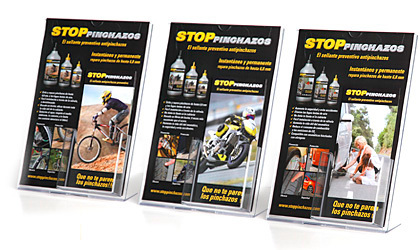 If you are interested in offering to your customers STOP PINCHAZOS and you are a workshop, mall, distributor company or professional distributor of motor please contact us on +34 629 62 62 22 or fill out the form below. How did ou know us? The data sent on this form will be stored in our contact list for the sole use of STOP PINCHAZOS. You may exercise your rights of access, rectification, cancellation and opposition of your personal data, according to what is available in the Law 15/1999 of December 13 for the protection of personal data, communicating via the contact form.